Growing up, Hitchens rarely heard her family talk about life in their home country, and Cambodian food was her only window into her cultural past. She learned to make desserts by watching and helping her grandmother in the kitchen. The recipes and techniques were passed down to Hitchens as an oral tradition, so she takes liberties with her family recipes and alters them to her liking. Most Cambodian cooking is naturally gluten and dairy free, so it was easy for Hitchens to adhere to gluten-free and vegan preparation when starting Koliyan, which translates to "beloved" in Khmer, the Cambodian language. Many desserts, for example, are made with ingredients like coconut, sweet rice, cassava, fruit (such as jackfruit and durian), yams, beans and sugar. 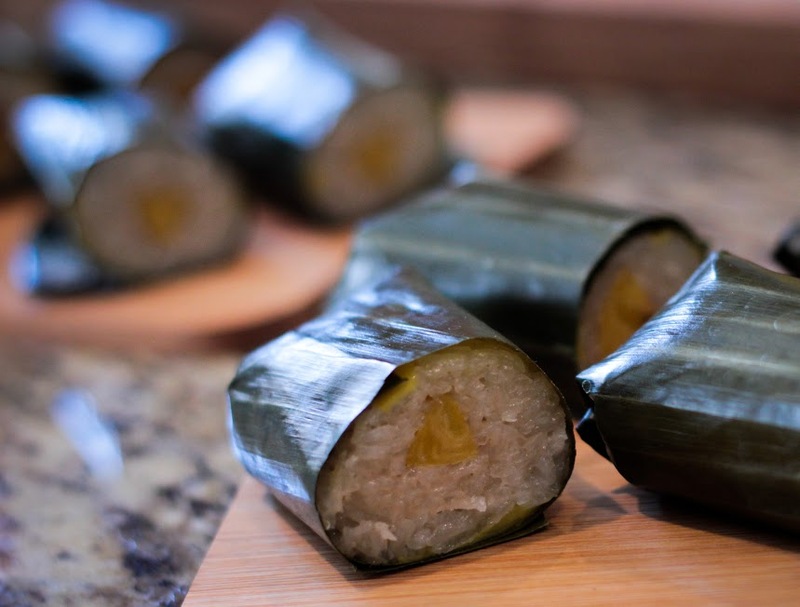 Take her steamed coconut-infused sticky rice, called num asom, for instance. It's wrapped in banana leaves and is lightly sweetened with cane sugar and shredded jackfruit, while a plantain core and black-eyed peas add a savory element that Hitchens tries to incorporate into most of her recipes. Her simple yet unique baht bun contains coconut, cane sugar and cassava, which hardens to form a chewy crust around a warm, gooey center. Another dessert is made with agar, a vegan alternative to gelatin, which Hitchens sweetens with lychee and cane sugar and adds a layer of coconut milk for taste, resulting in a refreshing dessert that can be molded into different shapes and sizes. Many people are intimidated by the durian fruit due to its enormity, thorn-covered husk and strong odor. But Hitchens has cut this fruit down to size in her vegan ice cream, blending it with coconut milk, tapioca flour, agar and cane sugar to make a mild, slightly sweet dessert. At the moment, Koliyan doles out sweets for pop-up events in Philadelphia, multi-course tastings, and vending at festivals (follow on Twitter and Facebook for event listings), but Hitchens hopes to open a sit-down café where she can serve desserts and coffee in the next year.